Warm tiny tootsies with booties to match every outfit. Knitted toys sure to tickle wee ones' fancy. Cozy cowls to give and receive. Feline-themed accessories for kids (and kits at heart). Bundle up in sweaters made with chunky yarns. Knit or crochet a blanket in graphic color combos. Great gifts for the holiday season. 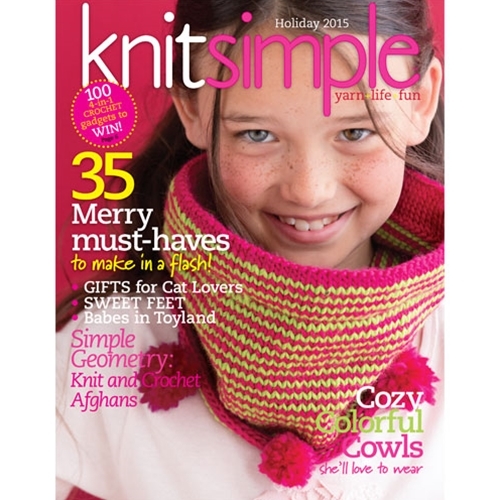 Enchanting costumes for dolls; knits for curvy girls and canine pals; cozy neckwear; supercute amigurumi and more. Snowflake-motif mittens for the winter months ahead.